Enjoy the comfort of a hotel at the price of a hostel, in a unique area of Bucharest. This is a cozy, private bedroom with separate bathroom, inside a lovely, bohemian house located in the student district of Bucharest. The house has its own garden, parking space, and large terrace with barbecue. The house is located in a safe and very quiet residential neighborhood, just 5 minutes away from the main train station, 5 minutes from the university campus, and 15 minutes from the city center. The area offers a variety of affordable dining places and nightlife entertainment opportunities, all located within walking distance. Direct access by bus 178 to both the train station and the city center. Guests can enjoy full access to the fully-equipped kitchen, and to the terrace and barbecue. Included: towels, bed linen, toiletry, wireless access. Two cozy, private bedrooms with separate bathroom, inside a lovely, bohemian house located in the student district of Bucharest. The house has its own garden, parking space, and large terrace with barbecue. 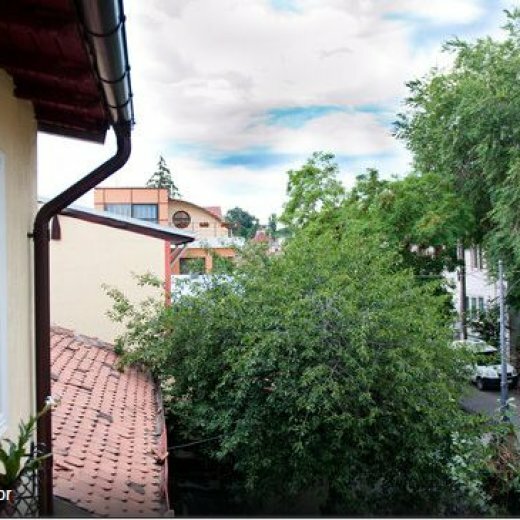 The house is located in a safe and very quiet residential neighborhood, just 5 minutes away from the main train station, 5 minutes from the university campus, and 15 minutes from the city center. The area offers a variety of affordable dining places and nightlife entertainment opportunities, all located within walking distance. Direct access by bus 178 to both the train station and the city center. SUMMER DEAL: You get a 20% discount for any friend you refer to this property, and makes a reservation with us. All tours include transportation by car. The owners are a young, educated couple, fluent in English, who are passionate travelers themselves, who can provide for the needs of their guests. They can respect your privacy, or have dinner and drinks with you.